Recently it has come to my attention that I have no idea which books in a series I own or have simply borrowed from somewhere and read. I knew I needed some way to keep track of my books but how? So I went the one place I believe you can find anything and everything- the Google Play store. I found the Book Catalogue app which allows you to sort out which books you’ve read, owned and want to buy. The app itself looks like a bookshelf. 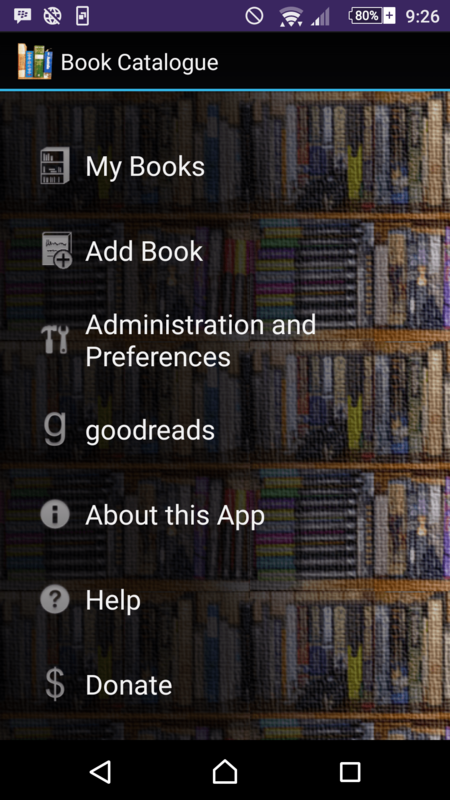 It also syncs with your Goodreads account so you can keep track of your Goodreads books too. You can also record what format the book is in (paperback, hardback or ebook) as well as whether or not it’s signed. This book is a must for all book-worms.